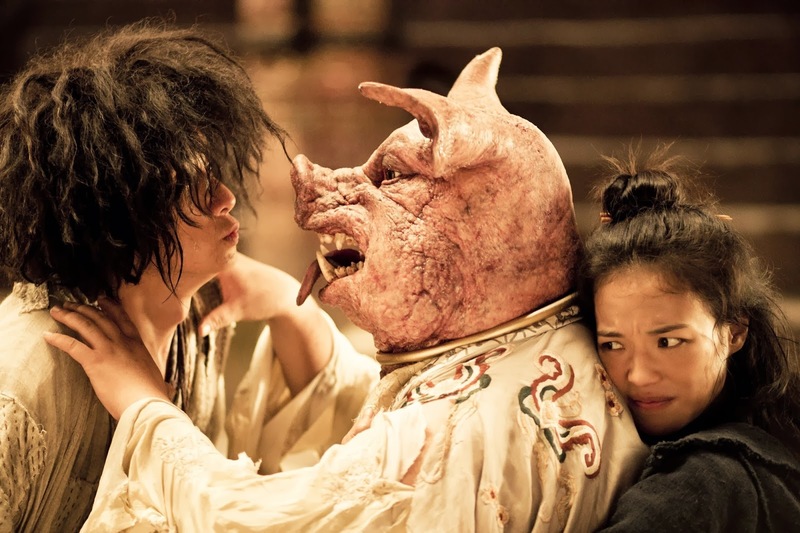 Journey to the West: Conquering the Demons has all the earmarks of Stephen Chow. Which means a lot of laughs are in store even if the jokes are a bit dated. While there are glimmers of brilliance, the movie fails to have any meaningful plot to follow. 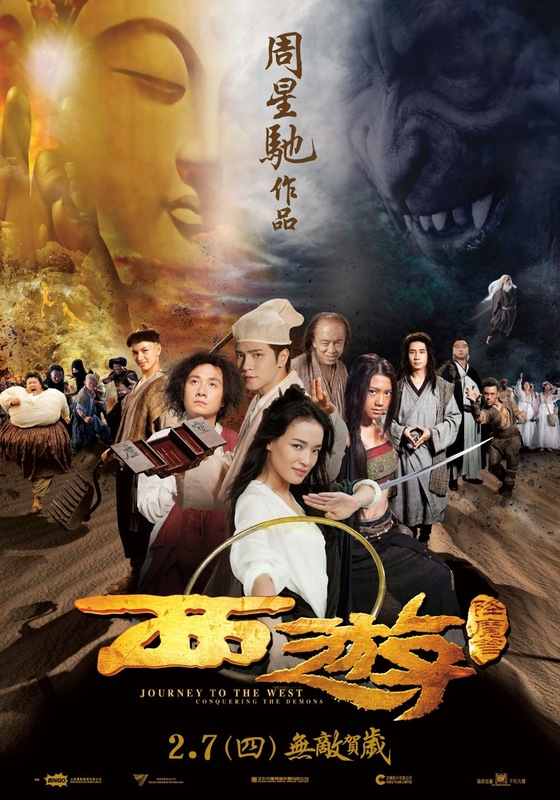 The main character Tang Sanzang (Wen Zhang), a demon hunter wanders aimlessly to find "enlightenment" battling different demons. It's an origin story of sorts, though not a very well told. Along his journey, Tang Sanzang battles demons although not too successfully. His naive nature but yet selfless ideals attracts another demon hunter Duan (Shu Qi). A much more competent fighter than him, she rescues him from several situations. Part of what makes the novel of which the movie is loosely based on and the movie itself great are the rich characters in it. The movie's focus is on Tang Sanzang before he becomes a monk and proceeds on his journey west with his three companions. We learn how he meets each of the three demons and how they come to join him. Wen does a great job in his role as does Shu Qi, despite the annoying nature of her character. Huang Bo is also notable in his role as Sun Wukong the Monkey King. The special effects while good are not spectacular. My favorite scenes include when Duan uses her gold bracelet as a weapon flying at the demons. The costume designs and make ups are as well nothing to brag about, though I would find it hard to kiss that pig as well. Overall though, you get the feeling that the Directors are going for a more rustic look to the movie bring you back to the 1980s. Overall, I would recommend watching this film as a matinee. It's a good outing though it could have been better. One example is the large amount of time spent setting up the water dock scene with the first demon. The unevenness in its pacing, jumping from one scene to the next could have been better. Until the Monkey King starring Donnie Yen comes out later this year, this will have to do for your Chinese classic fictional literature fix.